Stribling & Associates announced that Jared Seligman has joined the company. With a global network of clientele and experience in townhouse, co-op, and condo resales as well as new development marketing, Seligman has handled more than $1 billion in sales on behalf of his clients. Seligman, an Upper East Side native, has worked in real estate since the age of 18 when he joined Citi Habitats. 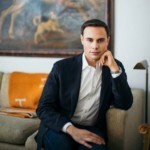 He later moved to Corcoran and, in 2009, joined Douglas Elliman where he grew a roster of celebrity clients. Seligman is based out of Stribling’s flagship Madison Avenue office on Manhattan’s Upper East Side. The Long Island Board of Realtors has awarded AnnMarie Pallister of Douglas Elliman the 2017 Realtor, Salesperson of the Year Award. Pallister is based in the Sag Harbor office and lives in Hampton Bays. She is Douglas Elliman’s Education Director for the Hamptons Region. Vincent P. Frezzo of Douglas Elliman has been elected to serve as Vice President of Long Island Board of Realtors Hamptons Chapter. Frezzo, who lives in Bridgehampton, is based in the Bridgehampton office and is a member of the Brendan Skislock Team. Berkshire Hathaway HomeServices New York Properties has added several agents to its commercial division including Benjamin Shafran, Joseph Masini and Miriam Solkowitz. Led by industry veteran Herb M. Hirsch, the commercial division primarily focuses on investment sales and leasing for multifamily, hotel, office and retail properties throughout Manhattan, Brooklyn and the Bronx. A 50-year veteran of New York City’s real estate industry, Benjamin Shafran has ushered more than $750 million in projects to completion. He was previously a senior broker with Citicore. Originally from Tel Aviv, Israel, he holds a Bachelor of Architecture and B.S. in Architecture from City College of New York. Joseph Masini began his working life integrating weapon systems for U.S. Navy combat ships. He later went into construction, operating a family-owned business that focused on high-end residential and commercial projects, and he owned a steel fabrication business. His career gravitated to sales where he racked up accolades and awards over two decades. Most recently, he was a broker at Signature Premier Properties. New York City native Miriam Solkowitz (licensed as Miriam Leonorovitz) is a graduate of Parsons School of Design, where she studied fashion and architecture design. Her entrepreneurial career started after she founded her own custom chocolates company that catered to the hospitality industry. This business helped her develop close relationships with major hotel chains and build a network that aids in her work of selling hotels, buildings and warehouses. 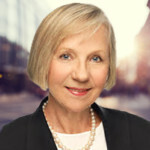 Level Group announced that Inge LaSusa has joined the firm after 22 years at the Corcoran Group. LaSusa built a solid reputation as a competitive and knowledgeable real estate broker. He business acumen stems from many years on Wall Street, where she worked as a Foreign Exchange Analyst at several prominent investment banks, including Morgan Stanley and Barclays Bank. Prior to Wall Street, Inge worked at Air France, French Airline. Born in Germany, she is fluent in German, French and Luxembourgish. She has an MBA in International Finance and a BA in Economics. Beth Kugel has been appointed as Halstead Brooklyn’s Senior Director of Sales and Leasing. In her new role, Kugel will be responsible for supporting the success of Halstead agents in the company’s eight offices across the borough. She will work with and support Trish Martin, Managing Director of Sales in Brooklyn, who continues to lead day-to-day operations of Halstead’s Brooklyn offices and spearhead our strategic growth in the area. Kugel has been part of the Halstead family for more than eight years as a top producing agent in the Cobble Hill office. She began her real estate career as a rental agent at Brownstone Management and graduated from SUNY Albany with a BA in Theater Studies. Licensed Real Estate Broker Paul Ruddock has opened RE/MAX Family Matters, located at 271 Jericho Turnpike Suite 3200, Floral Park, NY. Ruddock and Associate Broker Frederick Mowatt will manage the operation. RE/MAX Family Matters’ service area covers Brooklyn, Queens and the Nassau County communities of Queens Village, Glenn Oaks, New Hyde Park, Bellerose and Floral Park, the gateways to both New York City and Long Island. After graduating Dowling College with a BBA in Business Administration and Management, Ruddock began his professional life as an insurance broker with New York Life. In 2000, he joined RE/MAX in Floral Park and, while building his brokerage business, founded On Q Sports and Media where he works with professional athletes handling contract negotiations, finances and investment. Ruddock plans to bring eight to 10 more real estate professionals on board by the end of the first quarter of 2018.